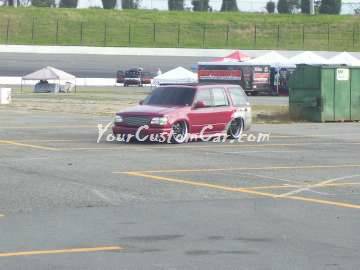 The Scr8pFest 11 SUVs were better than ever this year! 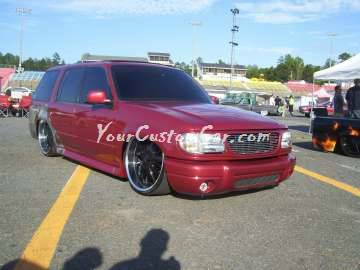 It was cool to see that there were several suvs of the same make and model, but each had been modified in a completely different way to make them unique. 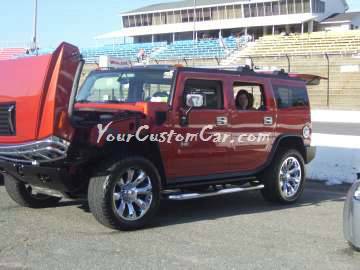 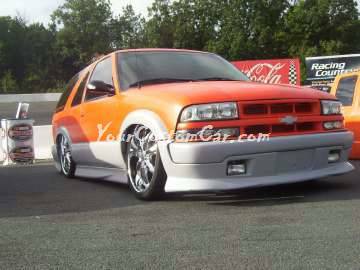 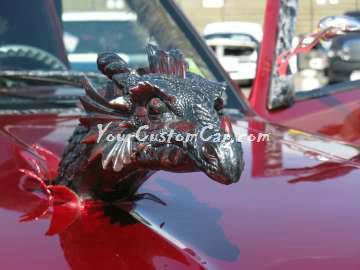 That's what car customizing (or SUV customizing in this case) is all about! 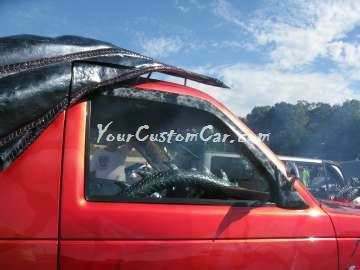 Just when I thought I had seen it all, someone brings out a body-dropped Ford Bronco on air ride. 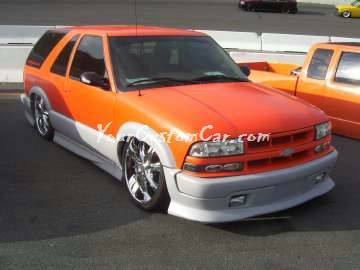 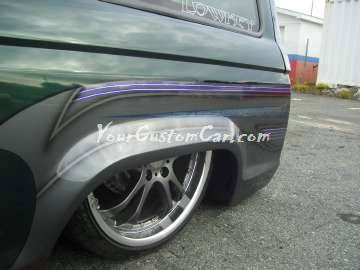 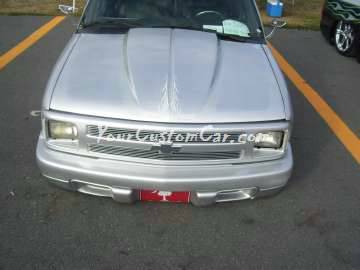 It featured a monochrome front end (all of front is one color), phantom billet grille, and some sick custom paint behind the rear fenders that were covering lugs on the Bronco's Wheels! 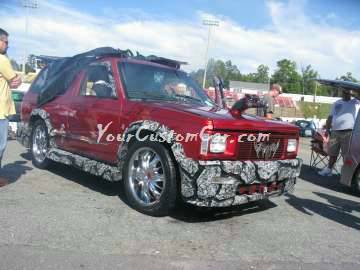 Usually I see Broncos lifted sky high on Boggers or something, but this Bronco was much different! 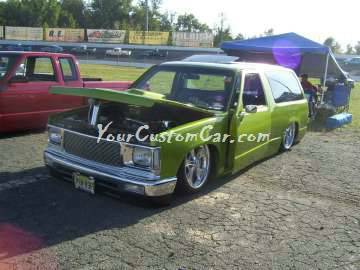 Another SUV that really caught my attention was the lime green square body Blazer shown below. 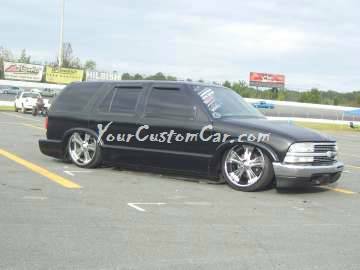 It featured a completely shaved body and suicide (front opening) doors. 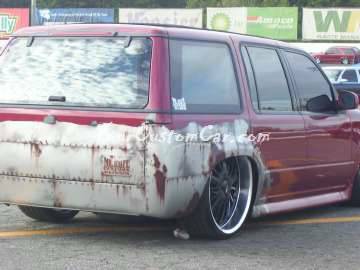 It looked very well done. 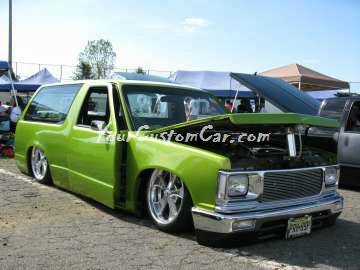 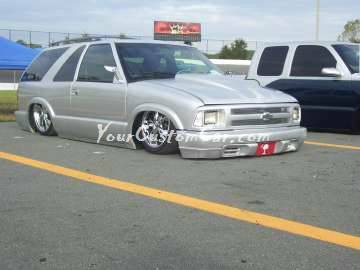 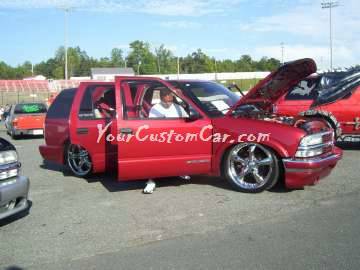 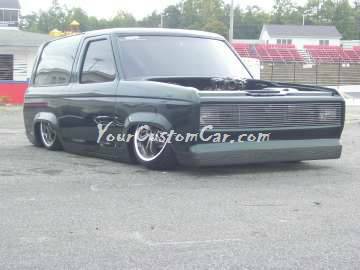 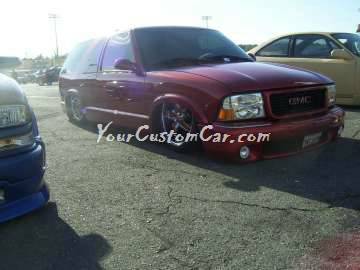 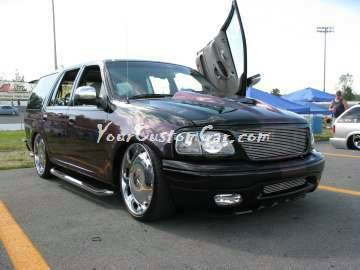 Check out the pics below to see what some of the Scr8pFest 11 Slammed Utility Vehicles looked like.